Explore the history-rich sites of the 6th oldest city in the world, Plovdiv, visit Bulgaria’s enticing valley of roses with its acclaimed Rose Festival and discover the secrets of the age-old tradition of rose oil production. Plovdiv is one of the most ancient cities in the world with signs of habitation dating as far back as the 6th millennium BC. The Old Town of Plovdiv is a UNESCO World Heritage site.It’s small, quiet and picturesque and a real gem for culture and history lovers! 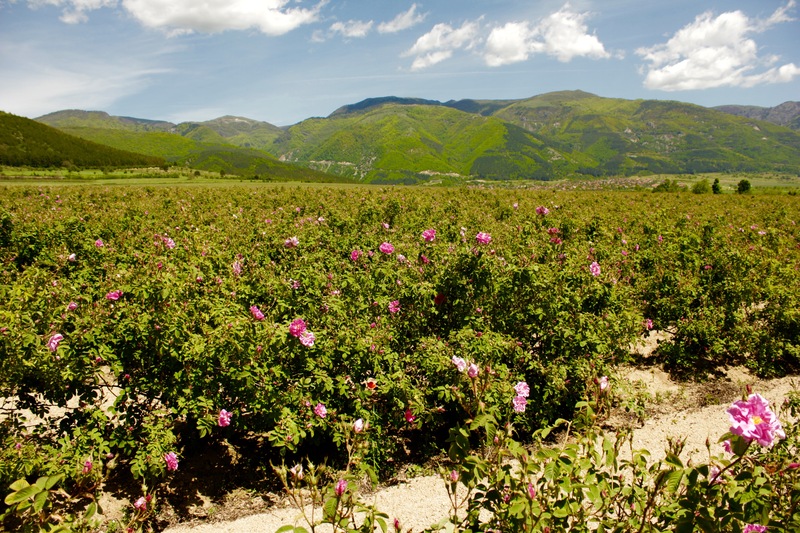 Bulgaria’s the largest producer of rose oil in the world. Rose oil production in the country dates back to the 17th century and is one of the country’s most valued traditions. The Rose Valley Festival is held every year at the fields that produce the aromatic roses and is one of the most popular events in the country, gathering visitors from all around the world! This is the highlight of this trip and we cannot wait to take you to this breathtakingly beautiful place so you can smell the roses and learn the age-old secrets of rose oil production. We'll land in Sofia and show you the buzzing centre of Bulgaria's capital city. We'll visit ancient Plovdiv the following day, look at museums and begin our exploration into the world of rose oil production. The culmination of our trip will be the two days we'll spend at Bulgaria's famous Rose Valley Festival – a real heaven on Earth! Arrival in Sofia, the capital of Bulgaria. Guided walking tour in Sofia city centre. Check-in at a 3-star hotel. Walking tour in the Old town of Plovdiv. Lunch near Plovdiv Roman stadium. Dinner and folklore programme in an authentic Bulgarian restaurant. Departure to Rose festival – a day full of impressions. Transfer to Plovdiv in the evening. Optional excursion to Bachkovo Monastery or a spa day. Free time for shopping, sightseeing in Plovdiv. No feedbacks yet. Fill the form below and be the first to leave a feedback! You have to select the number of persons and the date. Hey, looks like you're an early bird! You will get a £110 discount! I agree to travelinvision.com Terms and Conditions.